Make those frequent stops to refuel a thing of the past and extend your road trips around New England by financing or leasing a new Toyota. One visit at Tarbox Toyota is all it takes to see that our lineup of fuel-efficient Toyota SUVs, sedans and hybrids are the real deal. All Toyota cars are estimated to return over 30 highway mpg,* while many of our SUVs offer the fuel-efficient performance you desire. Explore your new Toyota lease and loan options at our Toyota dealership near Warwick, RI, and finance a fuel-efficient Toyota today! Which Toyota has the best mpg? The 2018 Toyota Prius leads the pack with an amazing 54 city mpg and 50 highway mpg,* meaning that you’ll increase your fuel efficiency and decrease your emissions all at once. Are you looking to turn heads at a moment’s notice? Our Warwick-area Toyota dealership has an abundance of new Toyota sedans in stock. The new 2019 Corolla returns up to 36 highway mpg,* or for an even greater uptick in efficiency, ask a Toyota sales specialist about the new 2018 Toyota Camry that can earn up to 41 highway mpg. * Or, if you want an elevated feel to your drives and a family-friendly SUV, you can finance a new 2018 Toyota RAV4. The RAV4 can return up to 30 highway mpg,* so you can drive endlessly up I-95 and beyond. 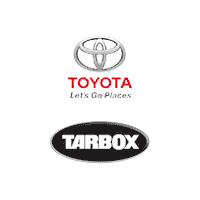 Browse the new Toyota inventory at Tarbox Toyota and finance a fuel-efficient Toyota with us. Whether you want to lease a new Toyota hybrid, buy a new Toyota sedan or test-drive a Toyota SUV, we have a full lineup of fuel-efficient vehicles waiting for you!